Oil On A Spark Plug - What Does It Mean? What Causes It? →What Does Oil On Spark Plugs Mean? And What Causes Oil To Leak On Spark Plugs? What Does Oil On Spark Plugs Mean? 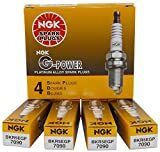 What Are Spark Plugs And What Do They Do? What Causes Dirty Oily Spark Plugs? So What Happens If There Is Oil On The Spark Plugs? Oil on a spark plug can be caused by several reasons such as a failing gasket/ O-ring. This article examines the function of spark plugs, and the hindrance brought about by the oil leakage. 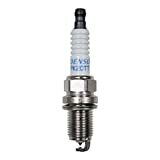 Spark plugs are responsible for transmitting electric current to the combustion chamber from the ignition system. An oil leak -- signaled by the presence of oil on a spark plug -- can prevent efficient flow of electric current. Spark plugs are equipped with metal shells and an electrode covered in porcelain for insulation purposes; therefore, an oil leak in this area could be quite disastrous. There are several ways in which you can fix this problem, some of which can be performed without anyone's assistance. However, a repair is only required if there are clear symptoms of the leakage. In this article, we will go through several signs that may signal an oil leak. The major cause of visible oil on a spark plug is usually a worn out gasket. In such a case, you will have to replace them with new ones. It will cost you, but it's worth the cost to prevent further damage that may lead to a greater loss. The worst case scenario is a faulty head-gasket, which can allow oil to leak unhindered out of the engine. This is an extremely expensive repair -- better to diagnose and fix the problem before it gets this bad. Nothing good. Oil on a spark plug, or on spark plug wires, can cause unexpected problems. It can also foul the ignition coil, interfering with ignition timing. The presence of oil in a spark plug socket can cause a repetitive misfire, eventually damaging the engine. In any case, oil on a spark plug indicates the presence of an oil leak, which means your engine isn't running at full efficiency and needs service. The spark plug ignites the fuel situated in the combustion chamber. The ignition process occurs when the spark plug positioned at the top of the cylinder head draws in both fuel and air. Then the piston moves in an upward direction thereby compressing the fuel and air drawn in by the spark plug. The piston thereby creates power for your vehicle when forced back. If your car is a four-cylinder, it comes equipped with four spark plugs. The oil leaking on your spark plugs is meant for your engine. The main reason why oil is used in engines is to lubricate the engine's moving parts. Lubrication is needed since a lot of heat is generated by the moving engine parts. The friction causes wear and tear, making the use of a lubricant essential. The oil lubricant is responsible for minimizing the heat effect as well as dissipating the already generated heat. Piston compression rings are situated at top and bottom of the car's engine. These compression rings are responsible for preventing oil from getting into the combustion chamber. The compression rings assist in getting rid of excess oil on the engine's cylinder walls. In case the compression rings fail, the oil can easily make its way through the pistons, resulting in the system leaking oil on a spark plug or spark plug wires, causing unexpected problems. Oil can also foul the ignition coil, interfering with ignition timing. It is recommended you make sure that the compression rings on the piston are fully efficient. A defective piston could be incapable of housing the compression rings at its top and bottom thereby creating room for possible leakage of oil on a spark plug. Apart from that, heat can bring about failure in the operations of a piston. If there is excessive heat, a crack forms on the piston thereby rendering it vulnerable to an oil leakage. This problem is quite serious therefore needs immediate attention once detected. Once the piston develops a hole or a crack, the only solution left is a replacement rather than repair. The valve guides are responsible for regulation of the air intake. They do so by ensuring the valves are in place when the engine is running. Such a problem can only be solved by replacement of the worn-out valve guides. Failure to replace the worn-out valve guides makes the spark plugs vulnerable to oil leakage. The worn-out valve guides could lead to very serious engine problems; therefore, their replacement is something that needs immediate attention. These types of seals are situated at the bottom of the spark plugs. A defective seal can let in oil thereby causing damage to the engine. If one detects oil around the spark plug (especially at the base) one should take immediate action to diagnose the problem. Oil in a spark plug well causing misfire is a serious problem; such an engine misfire is just the beginning, and could lead to serious loss; therefore, it is upon you to ensure that you replace or repair the faulty 0-Ring seals. However, if this happens, you will be required to change both the 0-Ring seals and the spark plugs. It is an issue that that should be dealt with immediately. Dealing with it in time ensures that you don’t have to worry about your spark plugs getting affected by oil leakage. The valve cover is made of metal and well situated on the engine, to prevent oil leakage into the engine. The gaskets are placed in between the valve cover and the engine. These gaskets get faulty over time thereby exposing the engine to oil leakage. The gaskets are majorly affected by high temperatures which make them brittle thereby letting in oil. The leakage then ends up on the spark plugs making them faulty. Such a problem calls for an immediate change of the valve cover gaskets. Be sure to regularly check your oil level and be wary for potential oil leaks. Especially dirty oil or a dirt-clogged oil filter may also signal a leak in the system. Ignoring this could lead to further damage. It is very important to maintain your spark plugs by ensuring that no oil leakage occurs. You should replace worn out valve cover gaskets to prevent oil from leaking. An oil leakage could lead to serious problems in the engine. However, before you replace any component, you should first rule out the possibility of other problems. This is necessary since oil leakage could be as a result of various reasons. Enlisted above are the major concern issues that could leave in loses if ignored. Spark plugs need thorough attention just like other vehicle parts. Neglecting them could lead to their replacement, cost you would have saved yourself by simply being more careful in preventing an oil leak or spillage.